As the dominant staple crop in temperate regions of the world, wheat provides between 20% to 50% of the total intake of calories in our diets. 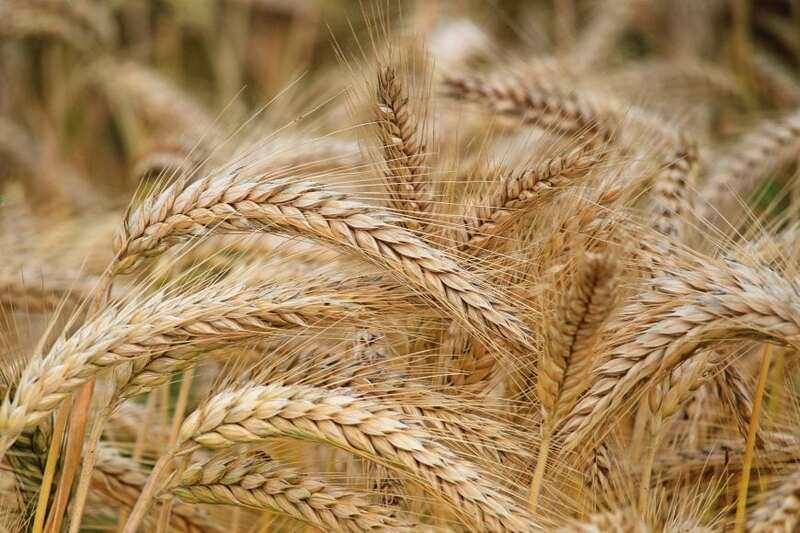 Most of the global wheat crop is bread wheat, but durum wheat is grown in regions with a Mediterranean climate and used particularly for making pasta. Modern intensive plant breeding has led to the development of wheat varieties that have higher yields, are shorter in stature, have improved pest resistance, are easier to process and are better adapted to the environment. Wheat provides not only calories, in the form of carbohydrate but also protein, essential for bread, pasta and biscuit making and also essential vitamins and minerals and bioactive phytochemicals. According to the National Dietary and Nutrition Survey of the UK, bread alone provides around 10% of the protein in our diet, ~12% of zinc, ~15% iron (partly from fortification) and 12% of folates (vitamin B9). Cereals are also an important source of dietary fibre, especially in western diets. In the UK they account for about 40% of the total dietary fibre intake1, with bread alone making up half of this. Dietary fibre is important as it is not digested and absorbed in the small intestine but passes to the colon where it undergoes bacterial fermentation2. Benefits associated with increased consumption of cereal fibre include lowering blood pressure and serum cholesterol, improving insulin sensitivity, and reducing the incidence of some cancers. The capacity to lower the glycaemic response of diets, reducing the risk of developing type II diabetes3 is of particular importance as type II diabetes contributes to other diseases, including amongst others, cardiovascular disease and stroke. Soluble fibre is considered to be especially effective in this respect, which may result from increased viscosity which inhibits mixing and diffusion in the intestinal tract and delays gastric emptying4. It has been suggested that modern wheat have lower contents of health-promoting components and reduced genetic diversity compared to old cultivars and land races. We have therefore compared the contents and compositions of dietary fibre components in sets of eight modern and seven old Italian durum wheat genotypes, grown in a two-year field trial, to determine whether there has been any negative impact of breeding during the 20th century on dietary fibre content. The major polysaccharides that make up the dietary fibre component of wheat grain are the cell wall polymers. In white flour (called semolina in durum wheat), about 70% of cell walls polysaccharides are arabinoxylans (AX). These consist of pentose sugars, with a backbone of xylose (β-D-xylopyranosyl) linked by (1-> 4) glycosidic linkages, which may be substituted with arabinose (α-L-arabinofuranosyl) at either the 3 or the 2 and 3 positions. In addition, about 20% of the fibre is mixed linked b-glucan, which consists of the hexose sugar glucose with (1→4)-β linkages (as in cellulose) interspersed with (1→3)-β-linkages5. This irregular linkage structure prevents the formation of an ordered crystalline structure, leading to the MLG being partially water-soluble. In addition, whole grain wheat contains significant amounts of cellulose derived from the bran fraction. Our comparison of modern and older varieties and landraces of durum wheat showed no differences in total arabinoxylan contents of wholegrain or semolina but the modern varieties had higher proportions of soluble arabinoxylan in wholemeal flours and of β-glucan in semolina (white flour). Comparison of material grown over two years showed that the contents and compositions of arabinoxylan and β-glucan were more stable in the old than in the modern genotypes. We, therefore, found no evidence that intensive breeding has resulted in negative effects on the contents of dietary fibre components in durum wheat. We also measured the viscosity of aqueous extracts, as this is largely determined by the soluble fibre components and may be related to health benefits (as discussed above). The identification of modern cultivars with high viscosity, associated with a high content of β-glucan, also suggests that they are good sources of fibre for human health. Bates, B., Lennox, A., & Swan, G. (2011). National diet and nutrition survey. Headline results from years 1 to 2 (combined) of the rolling programme (2008/2009–2009/10). London: The Stationery Office. Topping, D. (2007). Cereal complex carbohydrates and their contribution to human health. Journal of Cereal Science, 46, 220-229. Nugent, A. P. (2005). Health properties of resistant starch. Nutrient Bulletin, 30, 27-54. Riccardi, G., Aggett, P., Brighenti, F., Delzenne, N., Frayn, K., Nieuwenhuizen, A., Pannemans, D., Theis, S., Tuijtelaars, S., & Vessby, B. (2004). PASSCLAIM-body weight regulation, insulin sensitivity, and diabetes risk. European Journal of Nutrition, 43, 7-46. Li, W., Cui, S. W., & Kakuda, Y. (2006). Extraction, fractionation, structural and physical characterization of wheat β-D-glucans. Carbohydrate Polymers, 63, 408-416. This study, Comparison of the dietary fibre composition of old and modern durum wheat (Triticum turgidum spp. 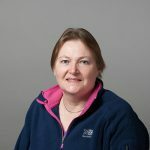 durum) genotypes was recently published by Alison Lovegrove, Peter Shewry, Michele De Santis, Ondrej Kosik, and Zina Flagella in the journal Food Chemistry.